"There’s another $15 billion ready to go as far as I’m concerned, It’s where the country’s going." Who said that? 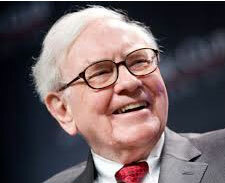 Warren Buffet, as he announced another $280 million for wind farm development in Iowa, adding to MidAmerican Energy’s $1.9 billion investment there. By the end of 2015, his utility will have about 3.5 gigawatts of wind capacity installed in Iowa, powering over a million homes, and supplying Google’s and Facebook’s new data centers with 100% clean energy. Buffet’s total investments in renewable energy stand at about $15 billion, according Bloomberg New Energy Finance, and apparently he’s ready to double that. Why? "These wind projects help stabilize rates in the long term for our customers," explains Bill Fehrman, CEO of MidAmerican. And they give Warren Buffet a way to invest large sums of money in assets that provide reliable returns. It’s big business for Siemens, which not only supplies the turbines, but just snagged a long-term servicing contract. Siemens will maintain 958 turbines for the next 10 years in Iowa, with a combined capacity of over 2.2 GW as 12 wind farms. Siemens not only received the largest onshore turbine order in history in Iowa, it’s now got its largest service contract. The turbines are manufactured at Siemens factories in Iowa and Kansas, providing a big boost the states’ economies. 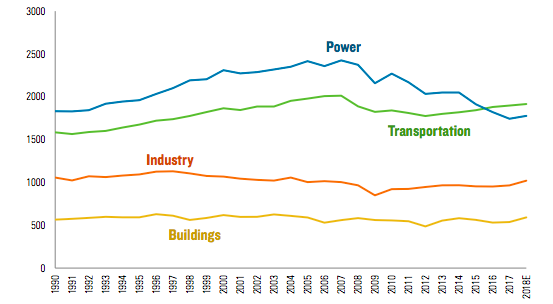 Iowa gets close to 30% of electricity from wind and electric rates are coming down. Last year, Berkshire Hathaway acquired Nevada’s biggest utility, NV Energy, which has 15% of its portfolio in renewable energy, adding to its 2006 purchase of PacifiCorp Energy. Both are positioned to supply energy to California’s booming renewable energy market. It comes at a perfect time, as California forms an "energy imbalance market" – a multistate grid system that allows renewable energy to be sourced regionally states in real time to smooth out intermittent output. When wind resources are low in one area, wind from other areas – or solar – can compensate, for example. Rather than these being typical Buffet "value" plays, "he’s looking at this [renewable energy] as a way to participate in the structural shift taking place in the power and energy industry," Christine Tezak, a managing director ClearView Energy Partners, told the NY Times. MidAmerican also owns some of the largest solar projects in the US, California’s 550 MW Topaz Solar Farm and 579 MW Solar Star, and is part-owner of the world’s largest solar PV project, Agua Caliente, near Phoenix. Buffet also loves coal and the railroad he owns to haul it.